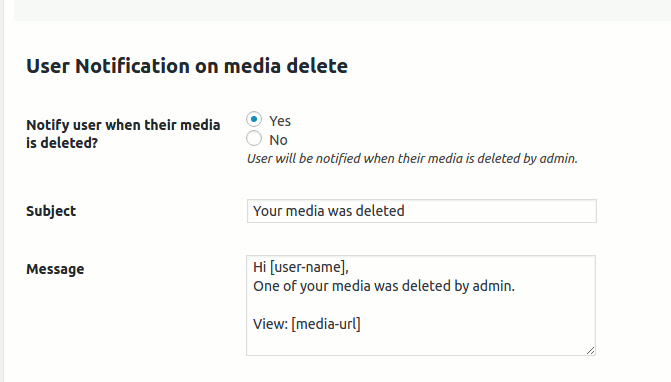 This section helps with configuring the MediaPress Media Moderator. If you need help with installation, please see this. 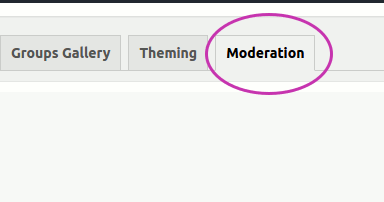 Once you have activated the plugin, please visit Dashboard->MediaPress->Settings and click on “Moderator” panel as shown below. 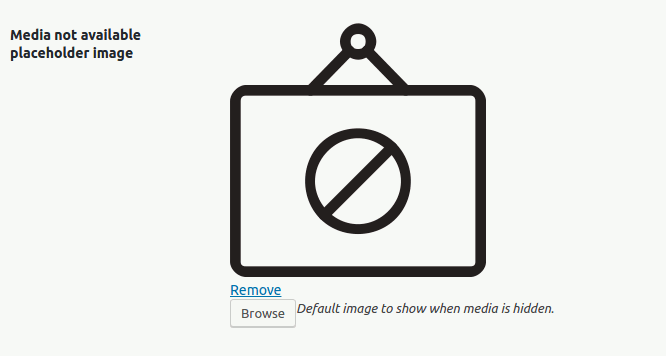 If you enable this, all media will be held in moderation on upload. Once the super admin approves the media it will be visible. The super admin and the uploader of the media will be able to see it but all other members won’t see the media. 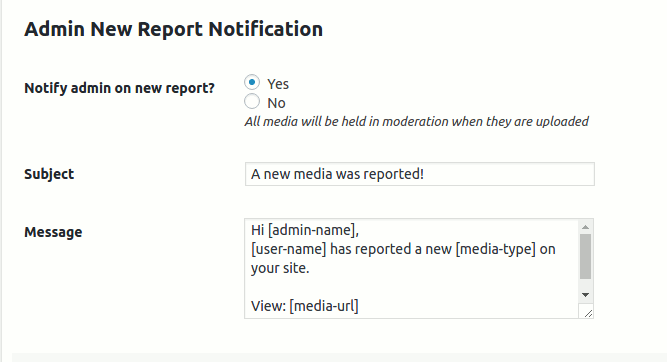 Do you want to allow users to report a media? 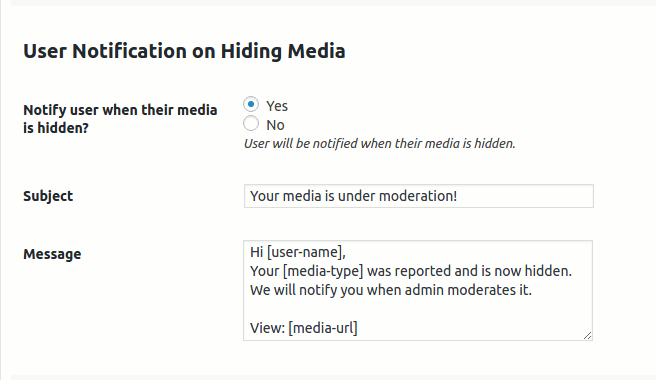 It lets you allow your community help you moderate by reporting unwanted media. It is used when community moderation is enabled. After a media gets reported specified no. of times, the media gets hidden and an email is sent to the site admin as well as the owner of the media. You can specify an image which will be used as a placeholder for the use case when not reporting the media will cause confusion. 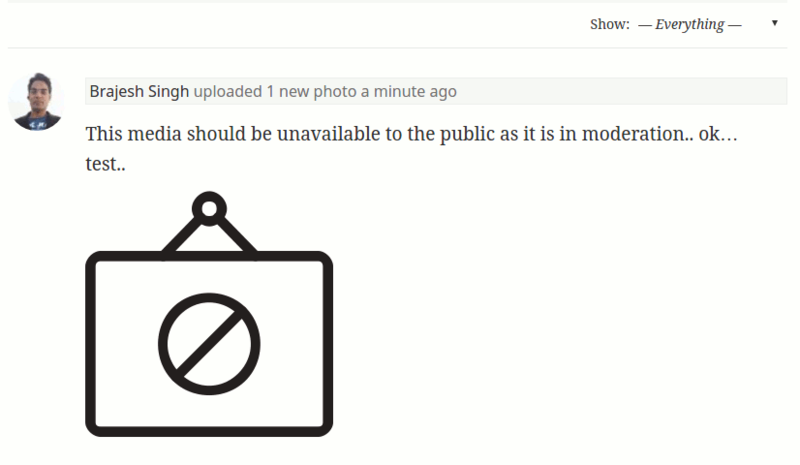 For example, if all media of an activity is held in moderation, It will report that the media is temporarily not available and use this placeholder. This notification is sent to the owner of the media when the media is hidden. You can enable/disable and customize the email from these settings. 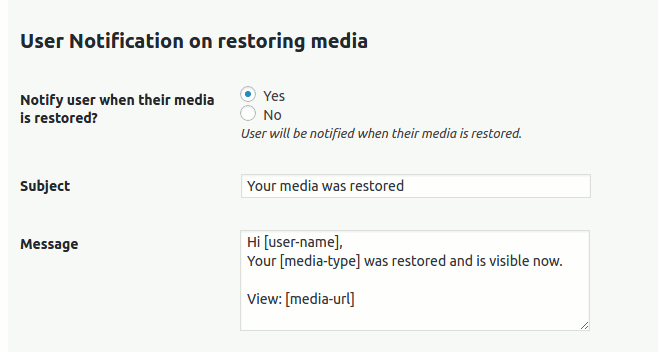 This notification is sent to the owner of the media when the media is restored by a super admin. You can enable/disable and customize the email from these settings. This notification is sent to the owner of the media when the media is removed. You can enable/disable and customize the email from these settings. Next:- Moderation Queue & Report log.